Some places in Germany are flowing with counterfeit euros. It’s not every day that law enforcement agencies manage to catch cyber criminals for all the mischief they might have caused. In, what some would indeed call, a freak accident German law enforcement agencies were able to catch two criminals, both from Germany, who paid for their purchases using counterfeit Euros. Various reports published in the media have revealed that the two German criminals were basically two 18 years olds who thought that paying for stuff with counterfeit Euros was something kids did for fun during Christmas holidays. And perhaps that was also the reason why both 18-year-olds got caught and then arrested in Forchheim, Germany when they were trying to con another shop owner by paying for various articles with counterfeit Euros i.e fake bills for paying for stuff available in a random Christmas market. With that said, it has to be mentioned that as of this moment in time both 18-year-olds are still suspects and nothing has been proven yet. The two young German suspects were both from Neustadt. Other reports since then have revealed that the criminals were intercepted and then impeded by a smart shop owner in a Christmas market who uncovered the fraud and uncloaked the forgery by dutifully checking the, eventual, counterfeit Euros. The fake bills presented to the shop owner by the two 18-year-old Germans were 50 euro bills and it was also alleged that the money used by the criminals to pay the shop owner with was identified as fake with the help of a money check pen. The money check pen belonged to the owner of the shop. In other words, there could be a certain amount of doubt involved as to whether the money check pen correctly identified the fake counterfeit Euros. Of course, there is every chance that the money check pen didn’t work in the first place before checking the counterfeit Euros. Local law enforcement agencies of Forchheim took both the suspected criminal in into confinement a short time after the incident that took place at the Christmas market was brought to attention. Criminals have managed to run operations that span the width of the continent. The detainment of the two suspected criminals for using counterfeit Euros was short lived as another law enforcement agency, this time the Bamberg police department, took matters into his own hands and controlled the progress of the investigation from thereon end. The Bamberg police department officials also advised the public and the shop owners residing in the area to stay cautious as more of these counterfeit Euros bills could very well be in circulation. 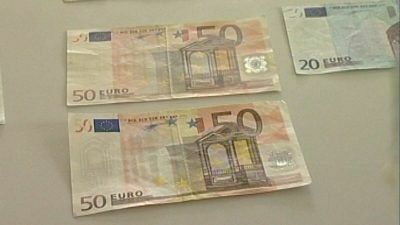 Moreover, law enforcement agencies were able to find another case of counterfeit Euros when it identified another bill of 50 euros, fake on, in the possession of the two Germans who were caught for their involvement in the first case. This happened after the initial arrest took place. It was also revealed that this additional amount of counterfeit Euros was in excess to the one the two young Germans tried to con the shop owner with. Additionally, the two caught young Germans confessed that they indeed used counterfeit Euros to pay for different items in the Christmas market and indeed had used similar counterfeit Euros successfully at other shops in the Christmas market. 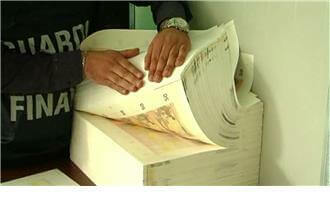 The pair also revealed that they had managed to use, with success, three other bills which were all counterfeit Euros. Reports also said that after knowing this, the Bamber police decided to advise the public and the sellers to be aware and attentive about possible counterfeit Euros in circulation within the area. 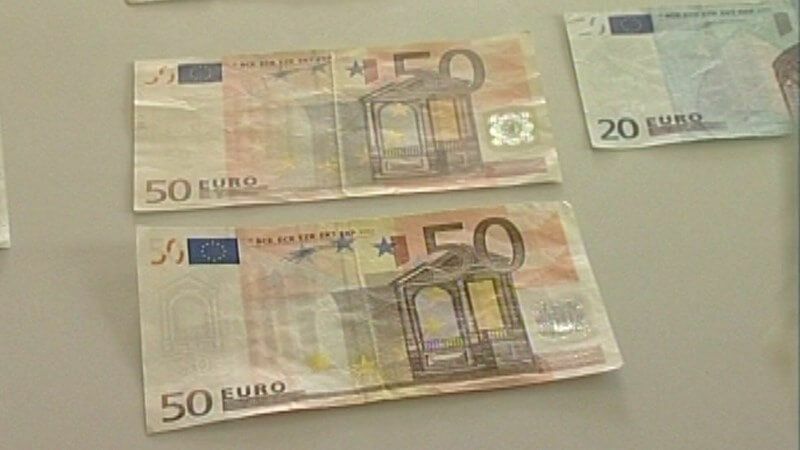 Later in the investigation, law enforcement officers involved with the Bamber police informed reporters that the criminal duo managed to buy the counterfeit Euros (actual banknotes) with some help from the dark web. According to police officials, there were plenty of places present in the deep dark web where one could easily buy these counterfeit Euros and a host of other currencies without much risk of getting caught or conned. Bamberg police officials also told reporters that the deep dark web was a pretty huge place for the procurement and the placing on the market of counterfeit money (in this case counterfeit Euros). Is Using Counterfeit Euros In Christmas Markets or Any Other Market A Serious Crime In Germany? Some readers would be more inclined to think that two 18-year-old Germans using counterfeit Euros to pay for stuff in a Christmas market should not be considered was a huge crime and that the offense should be considered as a trivial crime because of its nature and extent. However, Germany is included in just a handful of places where traditional criminals and cyber criminals aren’t dealt with lightly. According to current German laws, the two 18-year-olds could be looking at some significant amount of time spent in prison because a crime of this nature, theoretically speaking, can be punished with 12 months in jail if not more. Counterfeit euros have been in circulation for quite some time. Just a few weeks ago, a massive raid took place on money sellers who dealt in counterfeit Euros. The raid was organized with the help of a joint initiative by a number of law enforcement agencies including the likes of Europol, Portuguese police department along with Spanish, Maltese, Italian and German police departments. As mentioned before, the raid was successfully conducted and the people involved with using and selling counterfeit Euros were caught. The investigation regarding counterfeit money sellers took place in Italy, in the city of Naples. Naples, as some of the readers might already know, is a notorious place for its organized criminal entities and their related activities. 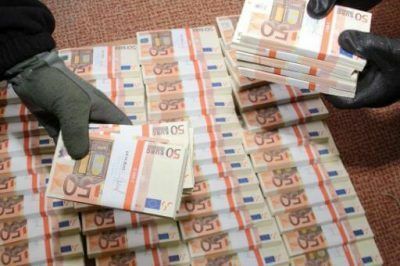 Law enforcement agencies and other authorities managed to track down the criminal organization which was actually responsible for the production of counterfeit Euros in an amount that exceeds 600,000. All of these 600,000 Euros were basically counterfeit Euros. The criminal organization operated on a much larger scale than the two Germans who were caught trying to buy stuff in a Christmas market, as it was revealed that this criminal organization had operations running throughout Europe. Europol, a law enforcement agency of the European Union (EU) that handles criminal intelligence, also took into custody a total of eight individuals which the law enforcement agency deemed as key suspects in the investigation. Other countries involved in the raid and the ensuing investigative activities, were also able to catch additional criminals who were believed to have been involved with the criminal organization and were involved in running the mass-scale operation of the criminal organization in other parts of Europe, mostly in their own countries inside Europe. Among a host of law enforcement agencies, Special Unit Currency Police and the Tax Police Unit of Guardia became the first of a host of law enforcement agencies who executed the first warrant for the people involved with the aforementioned criminal organization. The first arrest warrant was executed in the city of Naples. Moreover, it was also revealed that the Public Prosecutor of Brescia (a city in the region of Lombardy in northern Italy) identified a total of sixteen suspects who were involved with the criminal organization that dealt in counterfeit Euros. This number only represents the individuals who operated within the country. To put it another way, there were probably hundreds of people involved with the criminal organization who ran counterfeit Euros operations throughout Europe. The warrant issued by the Public Prosecutor ordered the detainment of four accused criminals. One of those suspected criminals was actually jailed while the remaining three alleged criminals were put under strict house arrest for the remainder duration of the investigation. During the whole operation against the criminal organization, law enforcement authorities were able to seize counterfeit Euros that amounted to a massive 7,700,000. Modern times have given rise to modern criminals. 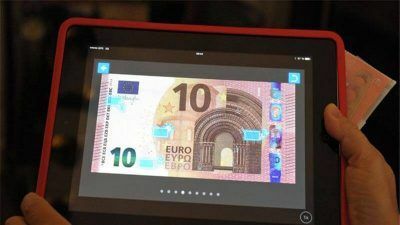 Now, counterfeit euros look and feel more like real ones. The charges were levied by the judge for Preliminary Investigations. As indicated earlier in the report as well, the investigations regarding the criminal organization were supervised under the regular guidance of the Public Prosecutor at the Ordinary Court of Brescia. Other local law enforcement authorities such that of Lugano and Republic of San Marino (the police department to be precise). Can the operation carried out by a joint initiative from several law enforcement agencies be considered successful? It could be since, it is true that many suspects involved with spreading counterfeit Euros throughout Europe have been caught as a direct result of the operation. Moreover, most of these criminals have been identified to have ties with the aforementioned criminal organization that dealt with counterfeit Euros. Moreover, law enforcement agencies and other authorities in Italy have actually traced down the precise bank account transfers that helped this criminal organization to manage its operations regarding counterfeit Euros. Additionally, Italian authorities have also started to search the said institutions (banks) for any and all questionable and potential criminal holdings. According to official sources with the police department, it has been revealed that the criminal group operated on the deep dark web using several different usernames to mask its unlawful activities. The criminal group used names such as “Napoli Group” on different sites present in the deep dark web and sold counterfeit Euros, actual banknotes. The same criminal group also conducted scams where its members came up with fake investment schemes and the like. But the operations of dealing with counterfeit Euros did not end there. The criminal group was also involved in setting up vendor shops and distributing counterfeit Euros from there. One of the members of the criminal group managed a vendor shop by the name of Warrior in the darknet community. In addition to that, the crime organization engaged in selling counterfeit Euros at 30 percent of the actual Euro bill’s authentic (official) value. Law enforcement agencies have also found out that the suspects in question went about managing their financials through bitcoin trading. Members of the criminal group first gathered as many Bitcoins as they could from selling counterfeit Euros using the darknet community as an outlet and then collected these in Maltese exchanges. After that, the funds were released over a period of time rather than in a huge lump sum as to avoid unwanted suspicion and attention from law enforcement authorities. A statement issued by the State Criminal Police Office (Landeskriminalamt or in German, LKA) clearly indicated that law enforcement authorities are now starting to take illegal activities related to counterfeit Euros rather seriously. The statement has been understood by many as a warning to criminals who engage in spreading counterfeit Euros. Nevin Ayyildiz, who is currently the spokesperson for the LKA, said in a recent interview that counterfeit Euros was indeed a problem and banknotes such as counterfeit €20-notes and €50-notes had become alarmingly common, forming over 60 percent of all of Hanover’s cash flow. The LKA spokesperson also pointed out that law enforcement agencies such as the police expected to see a slight decline in the number of transactions involving counterfeit Euros. That is, a moderate decline compared to the number of transactions that involved counterfeit Euros last year. In the year 2016, which will end in about three to four days depending on where you are on the map, police department officials seized around 7,000 counterfeit Euros in the city of Hanover alone. Needless to say, that is a very high number of counterfeit Euros in such a city. But despite that, LKA is of the opinion that cases that involved counterfeit Euros are likely to decrease in the coming year. The LKA did not share the exact number but did say that the department was positive that a decrease of ten percent in the number of cases involving counterfeit Euros next year was a realistic possibility. According to researchers, the spokesperson told reporters, that because of the fact that more banking institutions alone with stores were quickly learning how to identify counterfeit Euros, it was becoming difficult to run a viable business model based on counterfeit Euros for criminals. In the past, banks could only identify counterfeit Euros through indicators such as the quality of the counterfeit Euros. Now, criminals have managed to produce counterfeit Euros that are of moderate quality. Ayyildiz also told reporters that now the average shop owner such as that of a baker’s shop or even of a small petrol station could catch counterfeit Euros. And since these were the primary victims of criminals who used counterfeit Euros, their business was expected to decline in the coming year.